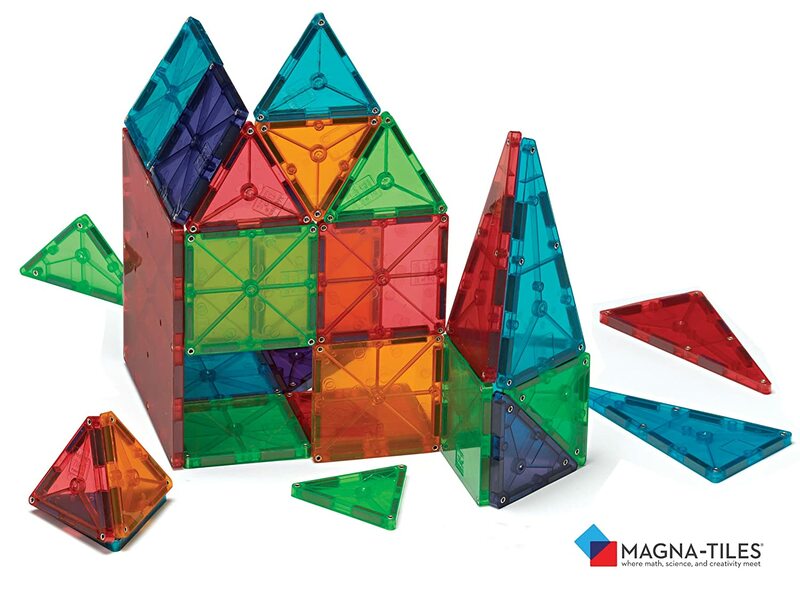 -Magna-Tiles- These are pricey but so worth it. It's also worth it to spring for the big box (which is what this link is (100 pieces vs. 32). When I taught preschool, these were by far the most fought over toy. They work very well for both genders and a lot of ages. Norah is still a big young for them- she still likes them, but she just stacks them all together instead of building things. I'm excited to watch her grow into them and build things later! They also maintain interest for a long time, which is amazing. 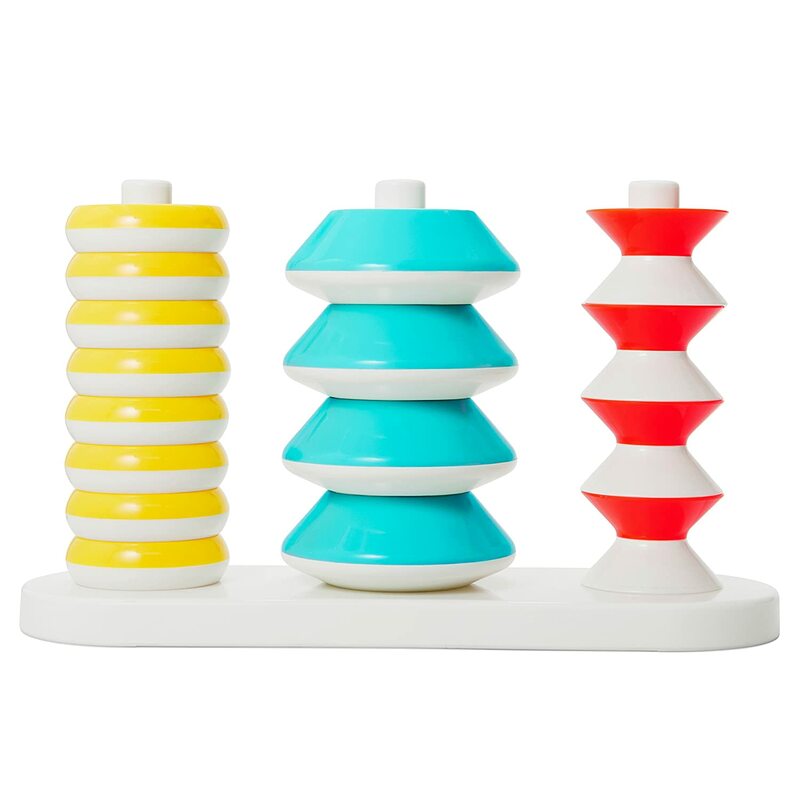 -Kid O Pattern Stacker Toy- We got this at this amazing children's store in Sioux Falls and I really love it! We previously had the Melissa and Doug Geometric Stacker, which was good, but it just didn't withstand the test of time to me. The paint was chipping off all over and it was wooden. I like this one better because it's plastic and super durable. Babies can put them in their mouth all they want and it won't chip or break, or older kids can use it to make designs, practice patterning, etc. 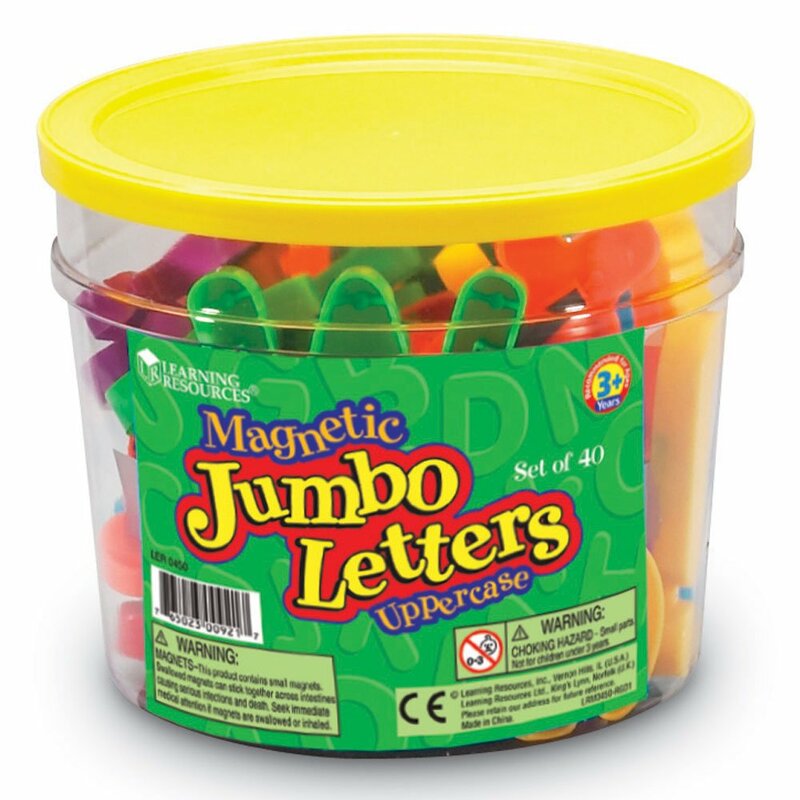 -Learning Resources Jumbo Uppercase Magnetic Letters- I've actually researched magnets for a long time, because it's hard to find ones big enough that aren't a choking hazard, that are durable, plastic, and won't break. These are great! They are big enough for little hands, and are great for working on all kinds of skills- letter recognition, letter sounds, beginning spelling words, etc. They have lowercase letters too! Norah definitely needs to grow into these, as we have been practicing letters but she doesn't really know any yet and basically right now they all just end up in a scattered pile on the floor. Every time I put them back on our magnet board hanging on our wall, I tell myself letter exposure is a good thing, even if she doesn't get it! -LeapFrog Learning Friends Preschool Play Set- Norah got this for Easter from her aunt and uncle, and it's one of her favorite toys. I figured she would enjoy it, but it's probably one of her favorite toys! She will play with it independently better than a lot of other things. I love it because it simulates a lot of what actually happens at preschool, so it's preparing her without her even knowing. There are a lot of different musical sounds/stories that play, and there are different settings, like free play, story time, music time, etc. Each animal actually has it's own personality! 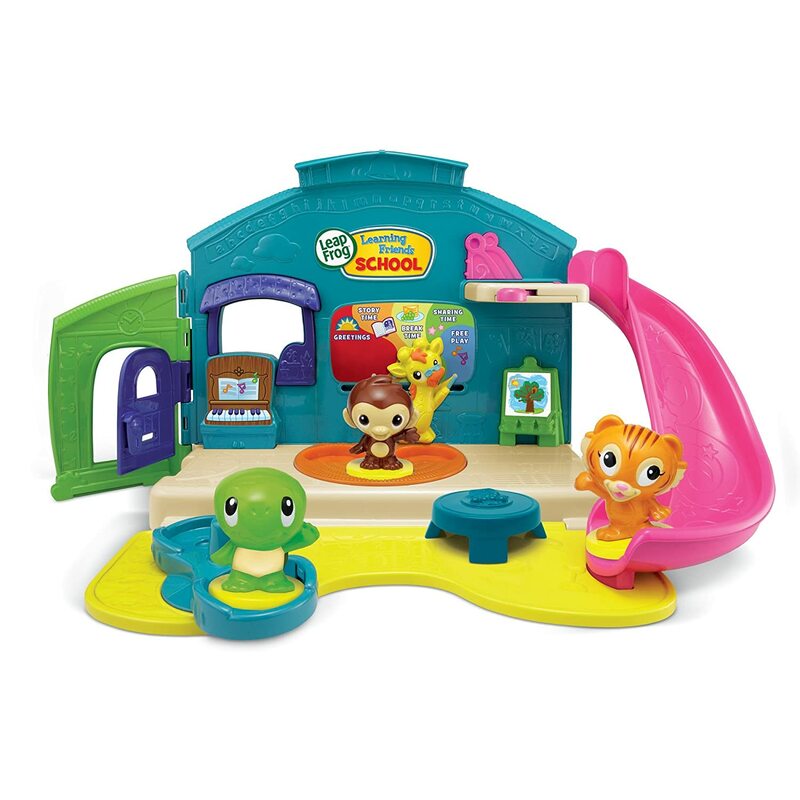 I think this is good for Norah because she has pretty bad separation anxiety and I think she will have trouble going to school, just like I did, so this is a good toy to help her with that! 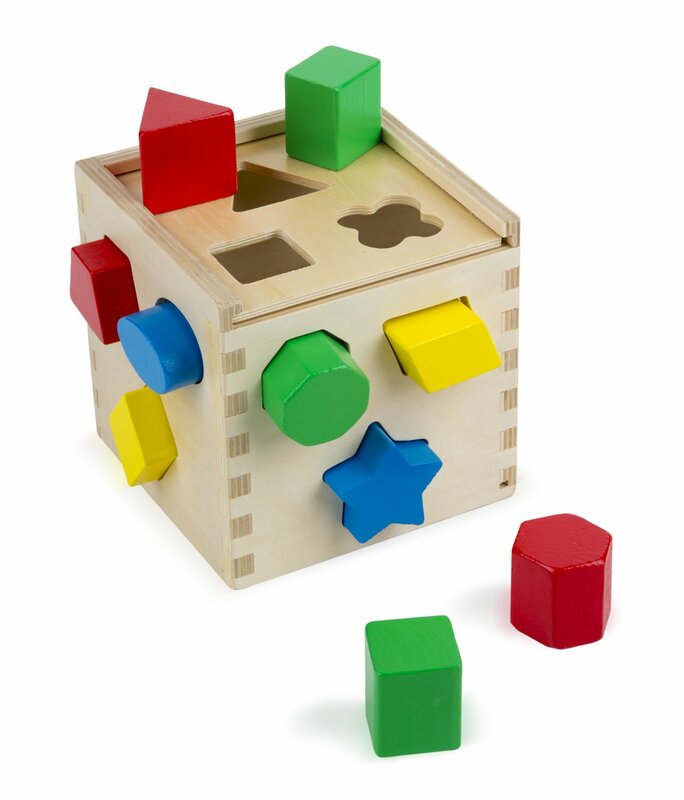 -Melissa and Doug Shape Sorting Cube- Norah has enjoyed this for awhile now. It's very developmentally appropriate- there are 12 shapes, which is more than most other shape sorters have, and it's hard enough to be a challenge but not so easy they can do it quickly. Funny story, it actually is challenging because there is a parallelogram and a diamond, and they are both yellow and shaped very similarly. Norah was getting frustrated once because it wouldn't fit it, when she had the wrong one, but it was so close and looked so similar! It's good to practice names of shapes too! 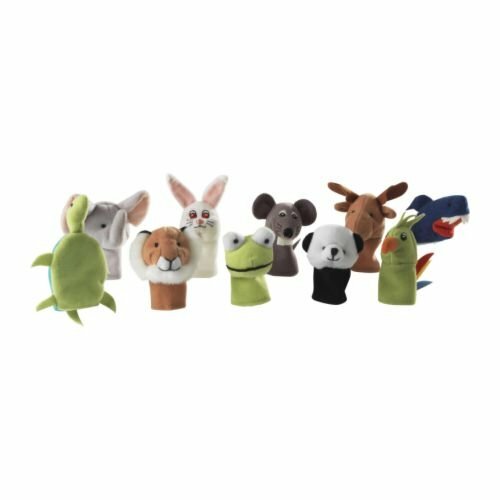 -Ikea Animal Finger Puppets- Norah has these finger puppets, along with a few other kinds, and is just getting to the age where she enjoys putting them on her fingers and practicing animals/sounds. They are also really nice for diaper bags/travel since they are small! -Learning Resources Stacking Shapes Peg Board- Norah's version is older (hers are all circles) since we got it from a retiring teacher, but she loves it! 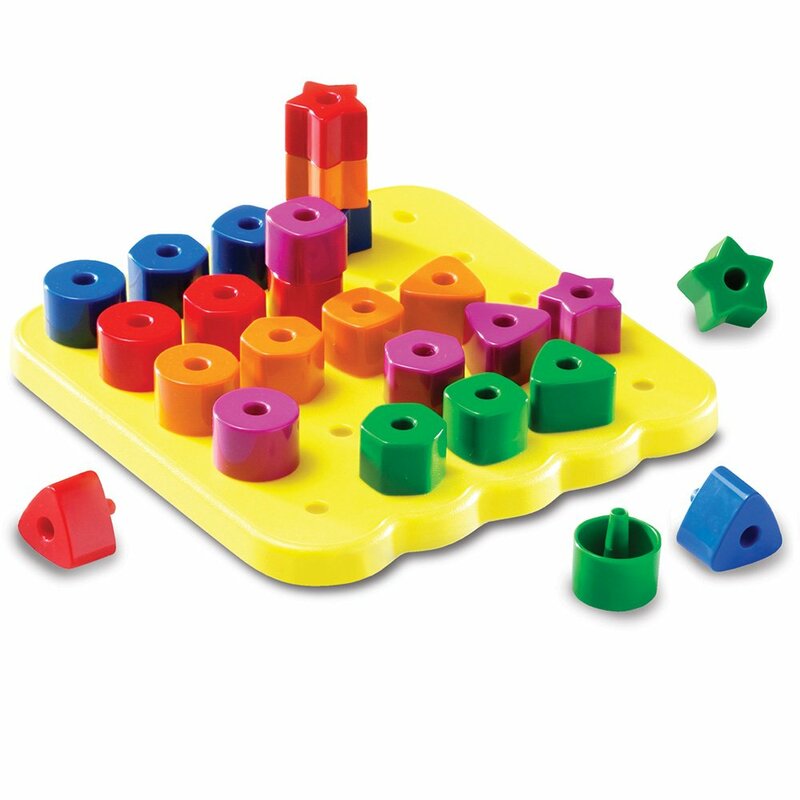 There are many things you can practice with this- shapes, colors, counting, stacking, patterning, etc. 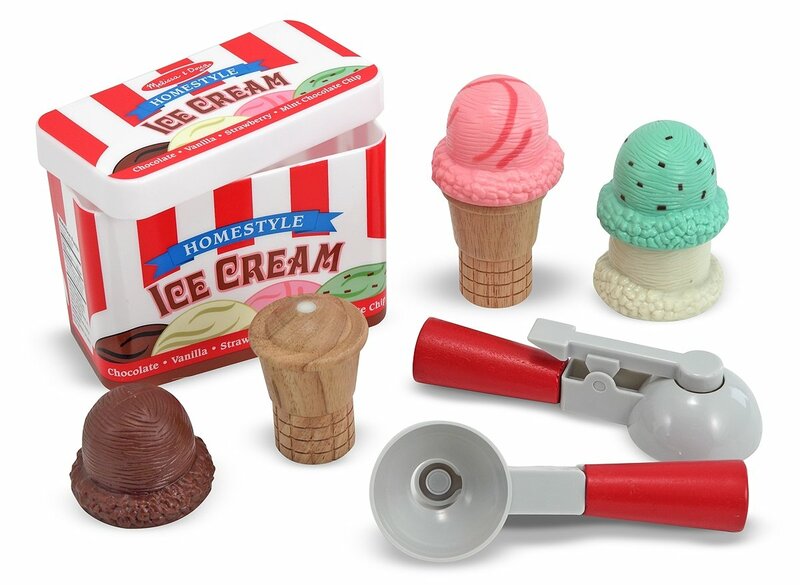 -Melissa and Doug Ice Cream Scoop Set- This is one of Norah's favorite things in her kitchen. 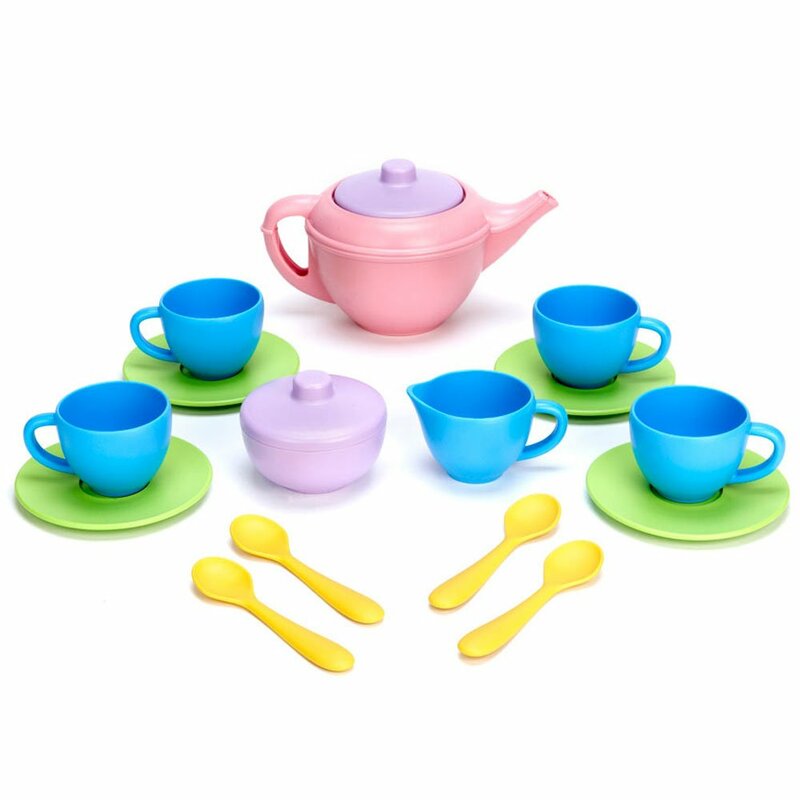 -Green Toys Tea Set- This set is such nice quality and so durable. Norah loves to serve tea! 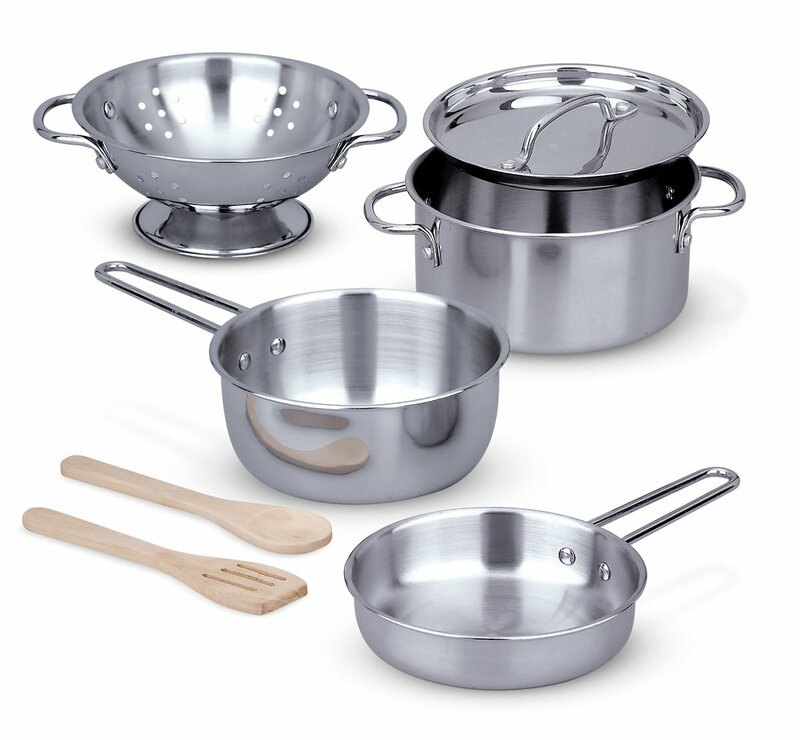 -Melissa and Doug Pots & Pans- Norah got these for Christmas, and they are a favorite. She will sit there and make imaginary food for a long time. She loves to put the pans in the microwave (in her play kitchen), fill them with water in the sink, and stir. She will stir, which is just her rattling a spoon around in the empty pot, for so long and then look to proud and give me a taste. They are also excellent quality, and fun that the look so real. -Hot Wheels Cars- Whether you are a boy or girl, Hot Wheels are just a classic I think. Norah loves driving them around. These are also a perfect diaper bag/travel toy!